Subject/summary: Palpatine comes to Vader's aid on Mustafar. 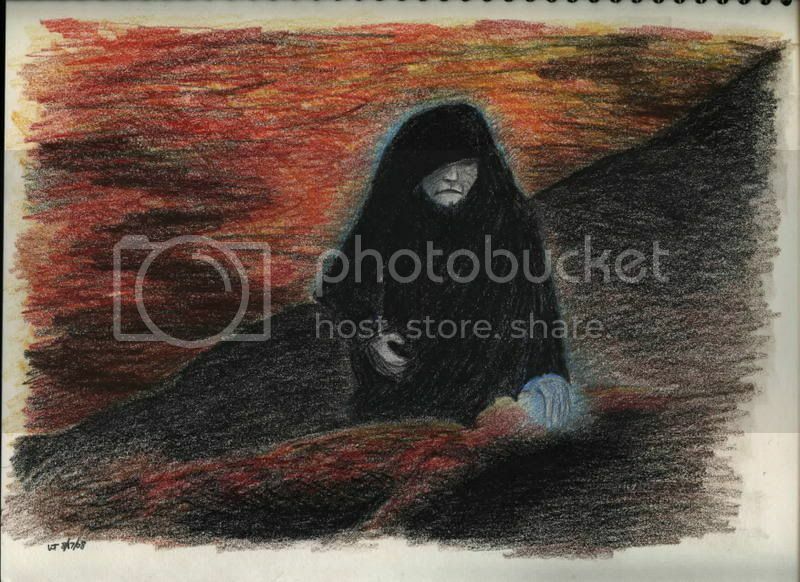 This was done for my Palpatine claim at saga_6. (Prompt: Grief) Comm post, for my reference since I don't have a tag there yet, is here.